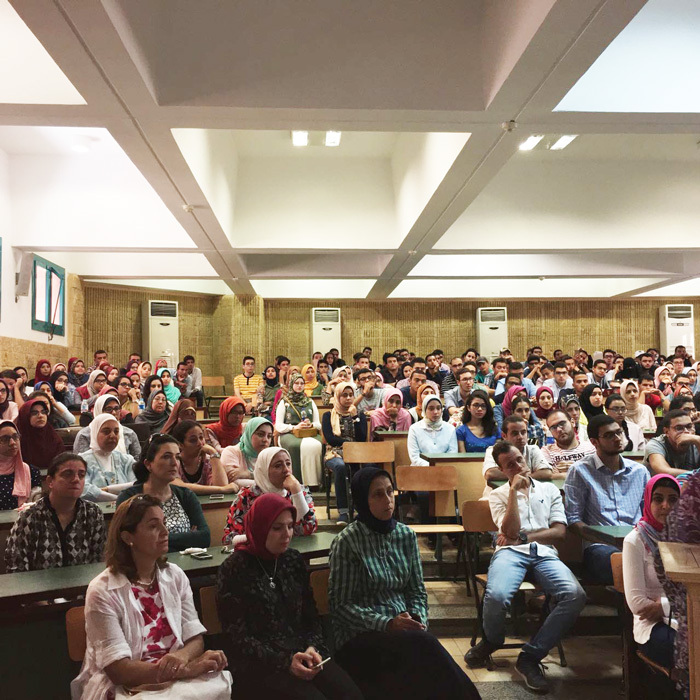 The faculty of Pharmacy and Drug Manufacturing held an orientation session for the new students on Monday 18/9/2017. 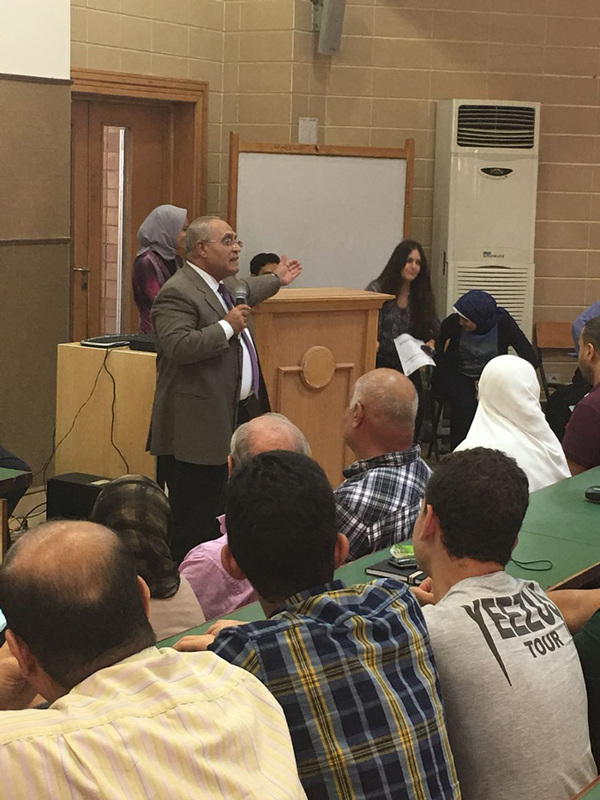 The session began with recitations from the Holy Quran, then Prof. Maged El-Ghazouly, the faculty Dean gave a word in which he welcomed the new students and introduced some of the faculty members to them. 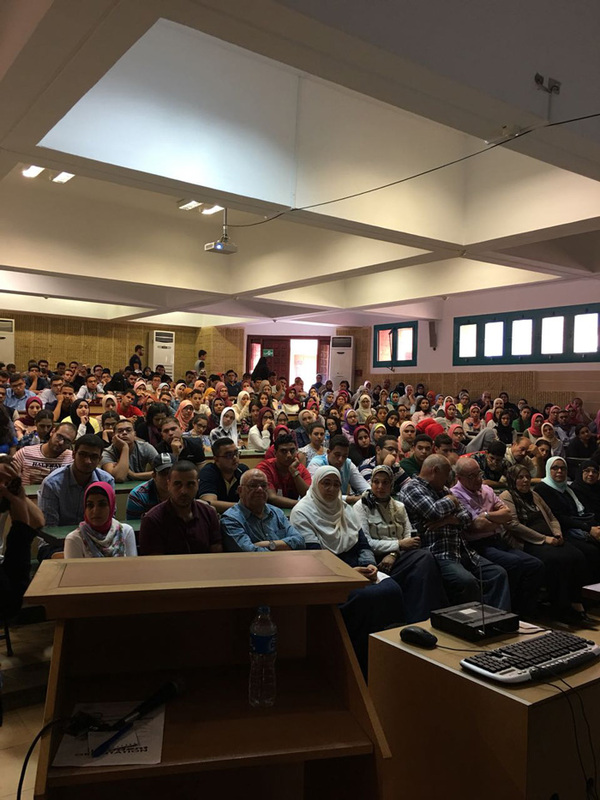 This was followed by a word by Assistant Prof. Rasha El-Bayaa, the faculty Vice Dean in which she underlined the importance of regular attendance and referred to the University new statutes as well. Some words were followed by Dr. Sally Alzahaby, the freshmen’s academic advisor and Dr. Samar Elganainy, the faculty’s General Academic Advisor, who acquainted the new students with the role of academic advising. 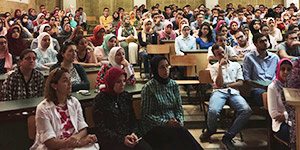 A documentary was then shown on Pharos University and the faculty of Pharmacy and Drug Manufacturing. At the end of the session, the new students were invited to be taken in a guided tour around the campus to be acquainted with the faculty’s facilities like lecture halls and laboratories. The on-campus tour was guided by some members of the faculty’s Student Activities Department.